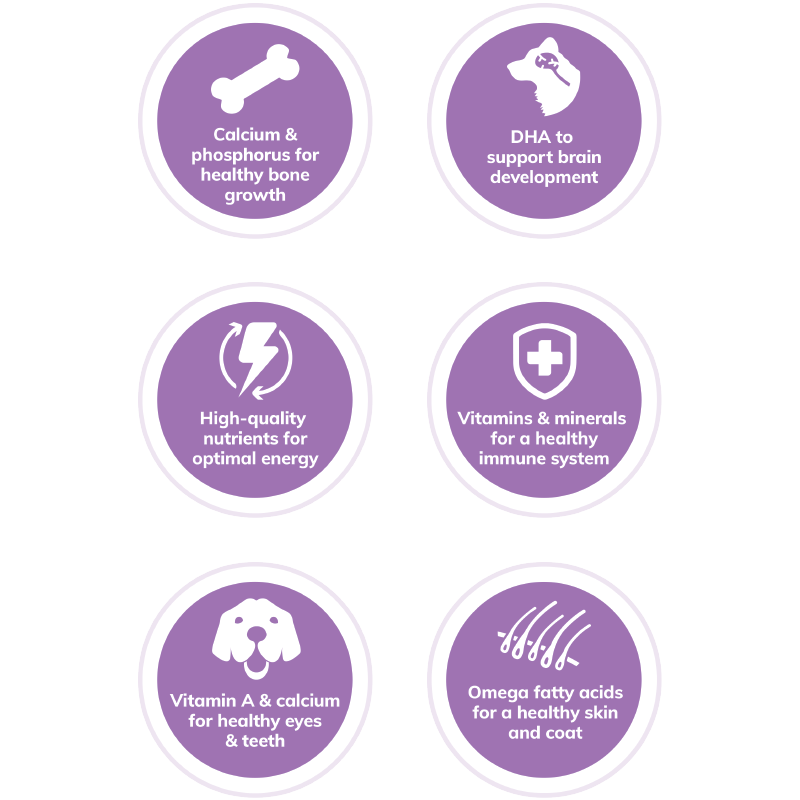 Wellness Complete Health Large Breed Puppy Deboned Chicken, Brown Rice & Salmon Meal Recipe Dog Food is formulated to meet the nutritional levels established by the AAFCO Dog Food Nutrient Profiles for growth and gestation/lactation including growth of large size dogs (70 lbs or more as an adult). Dogs over 100 lbs (45 kg): Add ¼ cup (26 g) per additional 10 lbs (4.5 kg). 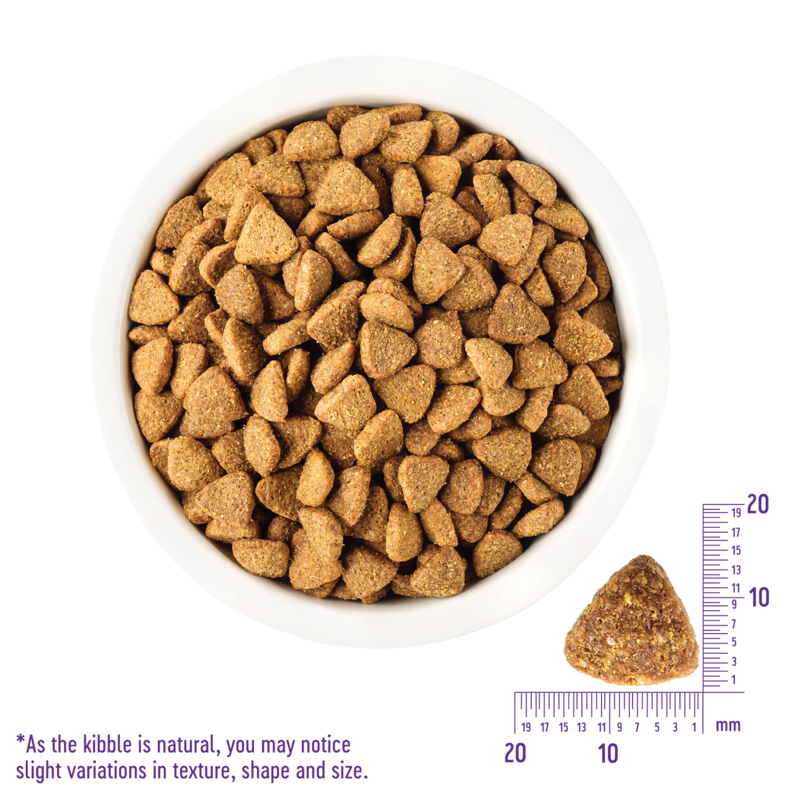 Combination Feeding: If feeding with Wellness wet food, reduce dry amount by ¼ cup (26 g) for every 6 oz (170 g) of wet food. For pregnant or nursing dogs: Since DHA is transferred to puppies in mother’s milk, we recommend feeding this during pregnancy and nursing. When pregnant, feed up to 50% more food according to body weight for 12 mos. For nursing dogs, allow her to eat at will. Every puppy is a little different, so optimal feeding amounts may vary with age, size, activity level, breed and environment. Please use feeding guidelines as an initial recommendation and adjust as needed. Calorie Content: This food contains 3,533 kcal/kg or 367 kcal/cup ME (metabolizable energy) on an as fed basis.